Cameron on extremism: how can we change this broken record? For some time now, working one’s way through a new speech or policy document on preventing extremism in Britain has felt a bit like listening to a broken record. Occasionally there are changes in tone between one text and the next, but the basics remain similar and what is repudiated in one iteration can reappear again further down the line. This can be said especially of Cameron’s speech on Islamist extremism in Birmingham on Monday, for this, largely unnoticed by the commentariat, appeared to resurrect previously rejected elements of New Labour policy. Unsurprisingly, Cameron followed Blair in making the case for further investigatory and restrictive powers – powers to proscribe speakers, to intercept communications, to ‘enforce our values’. Indeed, his government has already gone further than New Labour did on this, introducing statutory burdens on schools, prisons and universities. But he also, more surprisingly, spent around a third of the speech arguing that government policies to address extremism also need to address social integration. This is precisely what Cameron spent his first five years as Prime Minister arguing against. The 2011 Prevent strategy chides New Labour for failing to distinguish, at a policy level, between cohesion and counter-terrorism. Yet on Monday Cameron announced new plans to fund a ‘Cohesive Communities Programme’, suggested he would ‘empower moderate voices’ within Muslim communities, and spoke of everything from FGM to employment opportunities – all in the name of reducing the appeal of ISIS. But it is not just the policy itself that has a wearying familiarity to it; the critical response has too. In the comment pieces that have surfaced since Monday the same lines about foreign policy, intrusive spying, the process of radicalisation (and government’s bad understanding of it) and anti-Muslim prejudice have been rehearsed again and again. Many hardly differ from what was written when Prevent was first rolled out by New Labour, but these criticisms have had little meaningful influence. I have little hope the current criticism will have much impact. This inertia is dispiriting, and I am increasingly beginning to wonder whether the critics as well as the architects of the policy are responsible for it. Much of the criticism that has been made of Prevent is well founded; I have been a critical voice myself. But often – too often – it feels like a litany of unfocused, unproductive and even contradictory complaints. Rarely is there any sense of the need to develop a practical, focused critique and even more rarely is there any consideration given to how, strategically, policy change might be effected. Below, then, are a few blunt thoughts about what critics of Prevent get wrong and what we might be able to say more clearly or effectively. 1. Are we making arguments we don’t need to make? First, let’s not exaggerate the extent of our disagreement, or fight battles that we don’t really need to fight. Critics have fiercely attacked Cameron’s claim that ‘[t]he root cause of the threat we face is the extremist ideology itself’, for example. As Myriam Francois-Cerrah countered, ‘Ideology – or ideas – do not exist in a vacuum. They are the product of material factors, which, when ignored, reduce the battle against extremism to a cosmic battle of ideas’. Francois-Cerrah is a journalist I admire hugely, and what she says here is of course perfectly true. But, leaving aside that one comment, Cameron does not actually seem to disagree with what she says. Indeed, the majority of his speech in Birmingham concentrated on the material factors – crises of identity, alienation, segregation and Islamophobia – that make extremist ideology appealing. This does mean that his speech comes across as inconsistent; he is clearly trying to please multiple, opposed constituencies at the same time and failing to do so. But I do wonder why we are spending so much time pushing criticisms Cameron doesn’t seem to fundamentally contest. 2. Why are we making arguments we wouldn’t accept from adversaries? Second, there are a number of arguments critics have made that have been badly thought out, especially in relation to foreign policy, which has been the other major point of focus. True, Cameron was too dismissive of global political considerations, which he spoke of only in relation to what he called ‘grievance justifications’ for extremism. But in the responses one finds various comments like this, from Waqar Ahmed Ahmedi: ‘[I]t was startling and disappointing how casually Mr Cameron dismissed foreign policy as a valid grievance, particularly as this was the one factor the ring leader of the 7/7 bombings and murderers of Lee Rigby cited as the motivation for their acts’. There is clearly a problem with this line of argument. The same murderers also claimed that they were directly inspired by Islamic teachings, and we do not take these claims at face value, so why are we prepared to do so for foreign policy? In 2005 when British forces were active in Iraq there was perhaps a legitimate debate to be had about whether foreign policy was fostering domestic resentment. Today the case is much less clear. Of course, Britain helped create the conditions in which ISIS now flourishes and our foreign policy in relation to autocracies in Egypt and Saudi Arabia remains deeply hypocritical. I am not saying that I disagree with efforts to reshape British policy abroad. But I am far from convinced that foreign policy provides a sociological explanation for extremism, support for ISIS especially; it certainly doesn’t provide a moral justification for it, and that is a territory to which some critics seem perilously close at times. 3. Are we being too dismissive in our disagreements? I even have reservations about some criticisms of Cameron’s adherence to the so-called ‘conveyor belt’ theory of radicalisation, despite agreeing with them. The one point where Cameron has been consistent and has sought to distance himself from Blair has been in his conviction that ‘non-violent extremists’ need to be challenged as well as those who are directly involved in violent actions. As he put it, ‘[T]he extremist world view is the gateway, and violence is the ultimate destination’. Now, there are various problems with this view. The one that Cameron’s critics have mentioned most frequently is that it ignores what we know about radicalisation, namely, that only a handful of violent extremists have had ties to non-violent extremist groups. Yet while this argument may be valid, it too often leads to a dismissive attitude toward everything Cameron says. When discussing non-violent extremism, Cameron spoke of anti-Semitic conspiracies and theories about the security services being behind acts of terrorism in the UK. Such conspiratorial viewpoints do exist (and are not exclusive to Muslims, as a quick survey of 9/11 ‘truthers’ will show). Whether or not we subscribe to Cameron’s viewpoint (and I do not), there is surely room for agreement that the state as well as public and civil society institutions can have a legitimate role in challenging such views. We may disagree on what that role may be, but without that starting point it is hard to shape the debate. 4. Shouldn’t we concentrate on what is winnable? Instead of just taking aim at these flaws, it might be more helpful to think about how to author a practical critique focusing on issues that might be, to use a term favoured by activists in CitizensUK, winnable. One issue I have in mind here is Islamophobia. It is hard to deny a link between Islamophobia and radicalisation if one accepts that alienation, isolation and a sense of being unwelcome facilitate extremism. Cameron certainly, as I said earlier, accepts that alienation from British cultural life has this effect, so he cannot reasonably deny that Islamophobia is relevant. As he said on Monday: ‘I know that for as long as injustice remains – be it with racism, discrimination or sickening Islamophobia – you may feel there is no place for you in Britain. But I want you to know: there is a place for you and I will do everything I can to support you’. Yet despite this admission, interest in Islamophobia within Parliament has been minimal and that which there has been has not led to anything meaningful. There is a dire need for a concerted, targeted effort to ensure that anti-Muslim prejudice is recognised, at a policy level, as one of the (many) factors strengthening the appeal of extremist discourses. This is not to say that Islamophobia should only be addressed in policy as part of the debate about extremism, but this does appear to be a practical step that the present government could be persuaded to take. Fifth, where we do want to make a fundamental objection, rather than just dismiss Cameron as a man who doesn’t understand or who harbours prejudiced views, it would surely be more effective and intellectually honest to focus on areas where Prevent undermines its own practical goals. 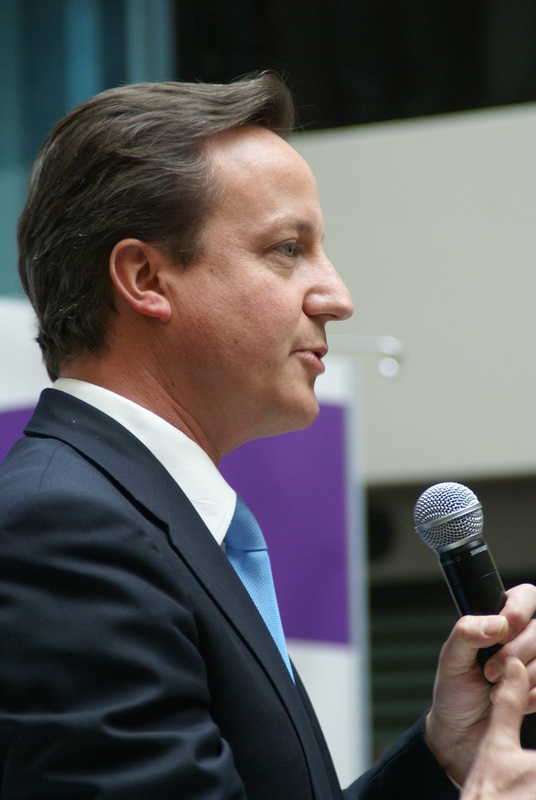 For example, Cameron claimed as part of a discussion of the media to want to open up space for a diverse range of Muslim perspectives in public life. There are, he said, a ‘huge number of Muslims in our country who have a proper claim to represent liberal values in local communities – people who run credible charities, community organisations, councillors and MPs’. But Cameron’s advocacy of the ‘conveyor belt’ theory actually works to close this off as a possibility. Since the Liberal Democrat–Conservative coalition was formed in 2010, Cameron has deployed this theory repeatedly in service of the argument that the state should not work with, or provide material support for, ‘non-violent extremists’, which he previously accused New Labour of doing. As he said to his audience in Birmingham, ‘[W]e have redirected public funds from bodies that promote non-violent extremism to those that don’t’. This contention is questionable on two levels. First, it is far from certain that there has been a significant shift, as Cameron claims. Undoubtedly, there have been huge cuts in public funding for Muslim civil society organisations, but none, as far as I am aware, explicitly justified in relation to non-violent extremism. Indeed, some individuals working with the Home Office that I and my colleagues spoke to as part of research carried out in 2010–2012 felt there had been little practical change under the coalition. Behind closed doors, it is recognised by some at least that: ‘[I]f you want to reach hard-line Salafi communities, you have to work with hard-line Salafi people…. You’re not going to reach them though cuddly Sufis’. Second, the Conservatives – or some of them at least – have been too willing to accept accusations made by neoconservatives about Muslim groups supporting ‘non-violent extremism’, when these have little or no basis. Cameron and Michael Gove, in particular, have made misleading conspiratorial claims about British Muslim civil society organisations acting as ‘front organisations’ for radical Islamic parties. * This is a language that Cameron seems** now to reject; he talked of standing up to ‘those who try to suggest that there is some kind of secret Muslim conspiracy to take over our government’. We should encourage him to do so, for this view of Muslim civil society makes opening space to anyone other than a limited number of partners extremely difficult. It gets in the way of objectives Cameron says he wants to achieve. This same basic approach can be taken to the most fundamental criticism we can make (and in fairness, many opponents have made this criticism). Cameron portrayed liberal principles, including rights, liberties and tolerance, as the UK’s best weapon in the struggle against extremism again and again in his speech. At one point, in the context of a (to be honest, out of place) discussion of FGM, he commented: ‘We can’t expect [vulnerable individuals] to see the power and liberating force of our values if we don’t stand up for them when they come under attack’. How, though, does one square this appeal to the importance of liberal rights, and their extension to every citizen regardless of their place in society, with his disregard for liberal traditions elsewhere? At one point in his speech he complained about internet providers that are happy to collect data for commercial insight, but not as part of the ‘fight against terrorism’. Cameron is educated enough to realise there is a world of difference between a company recording users’ data for commercial purposes and a state monitoring people’s political discussions and loyalties. Yet here and elsewhere he was happy to play fast and loose with liberal traditions that, he says, we need to protect to win people’s loyalty. Of course, most of us recognise the need for investigatory powers. But what we can say is that over-extending these powers or failing to specify the basis on which they can be legitimately used undermines the struggle Cameron claims to be engaged in. What practical reason can there be, for example, to extent Prevent’s statutory component to early years (ages 0-5) education? Making a compelling case for citizenship education at this age is hard; making a case for policies whose aim is to dissuade toddlers from ‘anti-British attitudes’ is ludicrous and, more importantly, hugely counter-productive. Imagine how a Muslim parent must feel about Britain on hearing that his or her child’s inability to ‘mix and share’ now has to be viewed, by childcare providers, as germane to the effort to prevent the flourishing of violent political extremism? We could add, too, that if Cameron does want people to view as conspiratorial nonsense the notion that Prevent is about ‘spying’, he will need to repair the firewall between Prevent and wider social policy that he repeatedly breached in his speech, and that previously he promised to protect. It is of course possible to recognise that mutual distrust between ethno-religious groups and inequality of opportunity are relevant to extremism policy. But such issues will never be remedied if they are seen as a means to the end of countering terrorism. Universities, to take another illustrative case, may indeed have a role to play in supplying people with the political and religious literacy necessary to recognise and counter apologetic conspiracy theories about Western politics. But the overbearing nature of Prevent in this and in other domains encourages authorities to be on the lookout for, rather than keen to converse with and overcome, extremism. 7. Is this a boxing match, or a judo contest? Ultimately, the point I am trying to make here is that too many of those who are hostile to prevent act as though they are prize fighters, badmouthing an opponent (sometimes unnecessarily) and then attacking with a volley of lefts and rights. Perhaps we would be better off as martial artists, using the force of our opponent’s case against him. Part of the reason for this problem, I admit, is the nature of our public sphere, which demands fast replies and the kind of uncompromising polemic which drives up websites’ hit rates. But even if everyone works within these structural conditions it still might be useful to ask a few questions of ourselves before picking up our pens, tablets and keyboards. First: Is some kind of policy to address violent extremism necessary and legitimate? I think the answer to this has to be yes. Then, two more: What would you do if sat next to someone supportive of a violent extremist movement, and how would you translate what you say to them into government policy? I am not quite sure what my answer to these two questions would be. Mine would certainly be different to Cameron’s. But it would probably also include themes on which he touches – the utterly brutal reality of movements like ISIS, the complex and uneven nature of Western foreign policy, and sympathy for personal sufferings and conflicts of identity. Recognition of this overlap does, then, give us something to work with, alongside the very many things in Prevent that we want to work against. *This relates to a speech Cameron gave to the CST in 2008, which is no longer on-line. **I say ‘seems’ here because he also, in the same speech, made accusations about the organisation Cage which, I understand, has prompted the group to seek legal advice. I generally only describe such accusations as ‘misleading’ when I know the organisation to which they relate well. In Cage’s case I am in no position to judge one way or the other, but it will be interesting to see where this advice leads.